- half day and full day guided ebike tours are available. 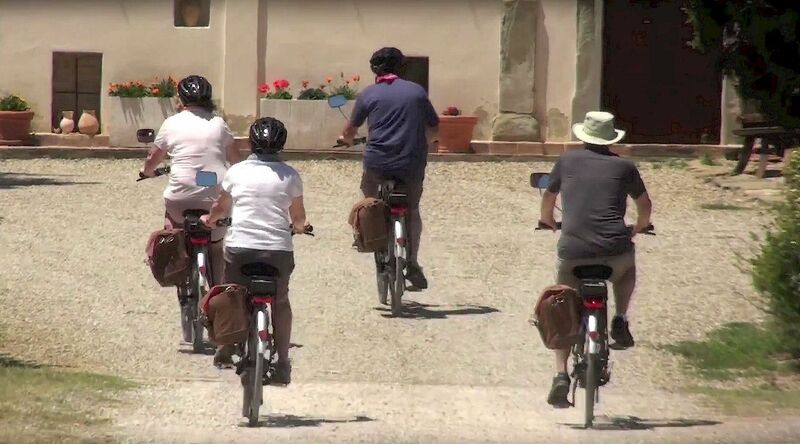 We offer electric bicycle tours from our base in Gaiole in Chianti. The tours do not have to start in Gaiole. We are happy to transport our bikes and tour guide to any location within a reasonable distance from Gaiole. Our guides are English-speaking and have an expert knowledge of the highways and byways of Chianti. Guided e-bike tours cost € 125 per half day (4 hours) and € 185 per day (8 hours). This price covers the cost of your guide and his e-bike. 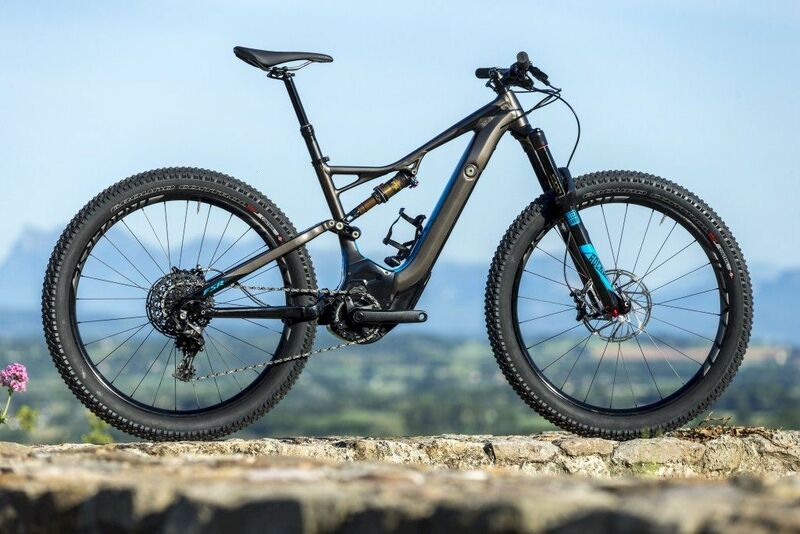 Your own e-bikes and lunch (if part of the tour) are not included. We have put some sample tours on the self-guided tour page - these can also be guided tours - and will be adding more examples of guided tours on this page soon. Alternatively, simply let us know whether you would like a half day or a full day tour, and the level of technical difficulty, and we will make some suggestions. This is a simple tour starting in Gaiole that takes about 3 hours and includes about 700m change in altitude. We'll take a short break for lunch with a simple wine tasting. The tour includes the atmospheric route near the Castello di Brolio. We'll be passing by the photogenic vineyards that so characterise the Chianti Classico wine zone. As we descend towards Pianella, you'll have a wonderful view of Sienna in the background. We pass by a pair of oaks that seem to be a single tree and which frame a unique panorama. Minimum altitude: 220 m, Maximum altitude 518 m, total change in altitude 691 m.